Henry, Jessie, Violet, and Benny are going to visit a castle! Built long ago, the castle is now being turned into a museum. 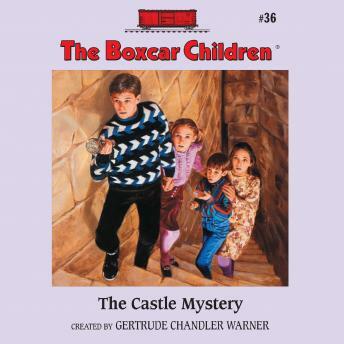 As the Boxcar Children help to restore it, they see mysterious lights and hear strange music. Faces appear in windows — and then disappear. Can the children solve the mystery hidden within the castle’s walls?